We take a look at the food-dating game. Use-by, best-before, packed on... we explain the differences and what you need to know. Use-by dates are required for health and safety reasons to reduce the risk of people getting sick from food that’s gone bad. You’ll find use-by dates on perishable foods such as meat, poultry and deli products. As long as food is stored correctly and hasn't been opened, it should be safe to eat before its use-by date. However, after that, a food can't legally be sold and shouldn't be eaten. Best-before dates are used to provide information about food quality. Most foods will have these dates. 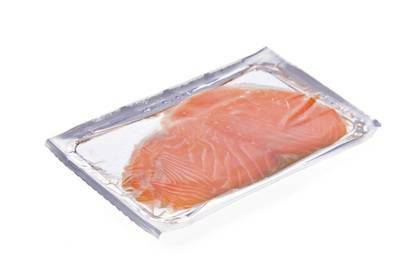 As soon as you open any packaging, the shelf life becomes the same as if the product was unpackaged. Food can be sold and eaten after its best-before date as long as it’s been stored properly. However, it may have lost some nutritional value and might not taste the best. Products with a shelf life of two years or more, such as canned foods, don’t need a best-before date. As long as cans are stored and sealed properly, they should last a long time. That said, if there are any signs of deterioration, don’t eat the contents. Baked on and packed on are the other dates you'll see on foods. Breads with a shelf life of less than seven days can have a baked on date. Packed on dates on other foods tell you how long the product’s been sitting on the shop shelf. This information isn’t mandatory but it’s handy for knowing how fresh something is – such as coffee beans. Products that deteriorate, such as olive oil, may have a pressed on or harvested on date. This information lets you know how old the oil is – the fresher, the better. A lot of the food we buy ends up in the rubbish bin. A 2015 survey by the Waste Management Institute found Kiwi households throw out more than 220,000 tonnes of food a year. Vegetables that are past their best make up the majority of this waste. Planning meals to make the best use of food in your pantry and fridge can cut your waste footprint. Understanding dates on foods makes it easier to avoid needlessly throwing things out.